Kings Bounty is a RPG with turn combat system. Our hero (warrior, mage or paladin) and his army of his loyal companions in arms, travel across a huge continent full of secrets and dangers. The missions are many and varied, from overthrowing kings, saving princesses from the claws of dragons, searching pirates on the high seas, finding treasure chests, to overcome armies of orcs. Our character moves in real time across the world, but when we engage combat, the view passes and otherwise becomes a turn-based game. We must find new and powerfull gear, develop the skills of our hero and evolve your character, and his army, until it becomes a true hero. A lot of equipment at our disposal, lots of spells and magic, an extensive skill tree, and much more awaits us in this amazing fantasy universe. 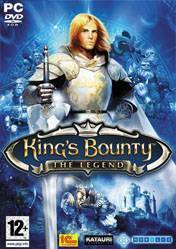 There are no comments yet about Kings Bounty: The legend . You can be the first one!